Add some style to your bedroom by using one of these free DIY platform bed plans. There are many different styles and sizes for you to choose from, and many include storage that's actually built into the bed frame. They would look great alongside a DIY nightstand. These platform bed plans are good for the confident beginner to the intermediate builder, looking for their next woodworking project. The budget and time it takes will vary depending on what plan you decide to tackle. Not sure on the platform bed style? Here are some other free bed plans and even free plans to help you build a bunk bed for the little ones. This Hailey Platform bed is inspired by a Pottery Barn bed that features wood slats for a headboard, a wood frame, and wood legs. All 2x6 boards are used, making this a quick project that will cost less than $50. This bed is simple to build, but it looks like an expensive purchase when it's complete. This platform bed plan has everything you need to build it, including diagrams, building instructions, and even a video. This beautiful platform bed features a slatted headboard, a wood frame with center support, and stylish legs. All the instructions that you need to build it are included in the plan as well as reader reviews of those who have built it. This platform bed plan was inspired by a West Elm design and has a chunky base and platform along with a planked headboard. This bed was built for just $55 all said and done, making it a great budget project. Get a new bed and added storage all in one with this free platform bed plan. There are big, deep drawers on three sides of the bed, giving you so much room you could even skip having a dresser. In just one afternoon, you can build this twin-sized platform bed. By using plywood for the headboard and pre-made table legs, you'll have it built in no time. Add a macrame wall hanging to the headboard if you like as a finishing touch. You can build this dreamy platform bed for less than $200. In this free plan, you'll find a ton of extras to help you be successful. There are building instructions, color photos, Sketchup diagrams, and even a two-part video series. Here's another knock-off project from Pottery Barn. This one makes a storage platform bed. This is a nice queen size bed that has drawers on two sides, and a headboard and footboard on the others. It's a classic design that would look great in any style of home. 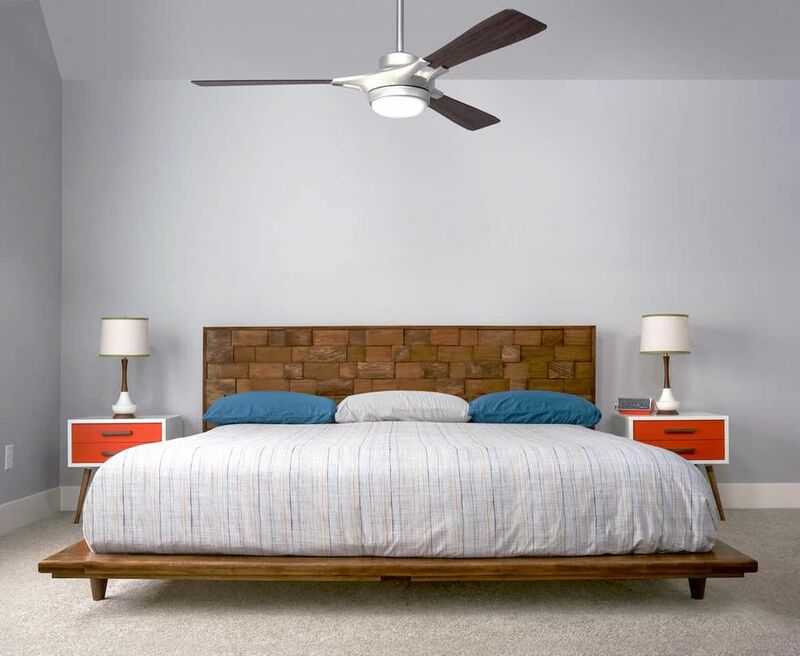 This stunning mid-century modern platform bed will demand a little more of your time and skills than some of the other plans, but you'll be very happy with the results. This plan is for a king platform bed and features a unique headboard that will look great in your bedroom. 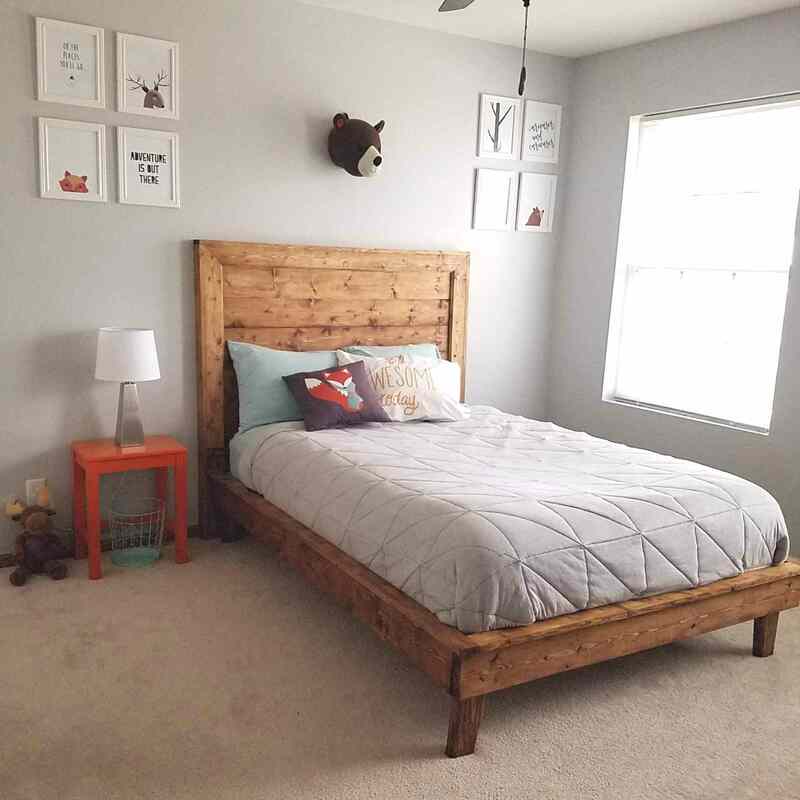 Here's a free king-sized platform bed that has a great farmhouse style to it. This is only a basic plan, so you'll need to have some building experience if you'd like to tackle it. A cut list and diagrams are also provided. This rustic modern platform bed plan will show you how to build a bed that's built entirely out of 2x6 boards. This bed is low to the ground, making it great for a small space or a stylish bedroom. You'll find a shopping list, tool list, building directions, and diagrams to help you get it built.